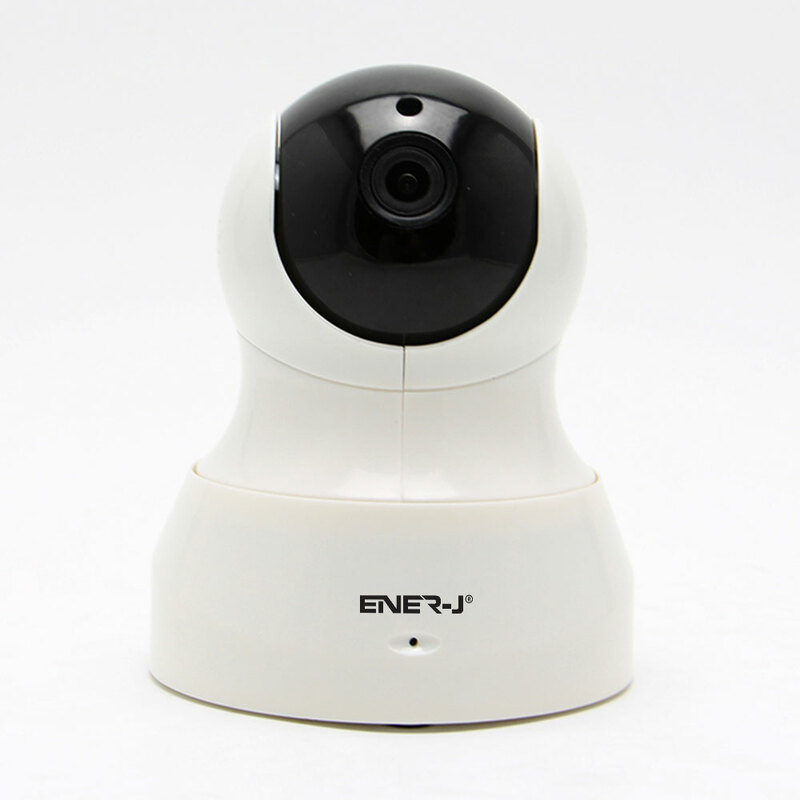 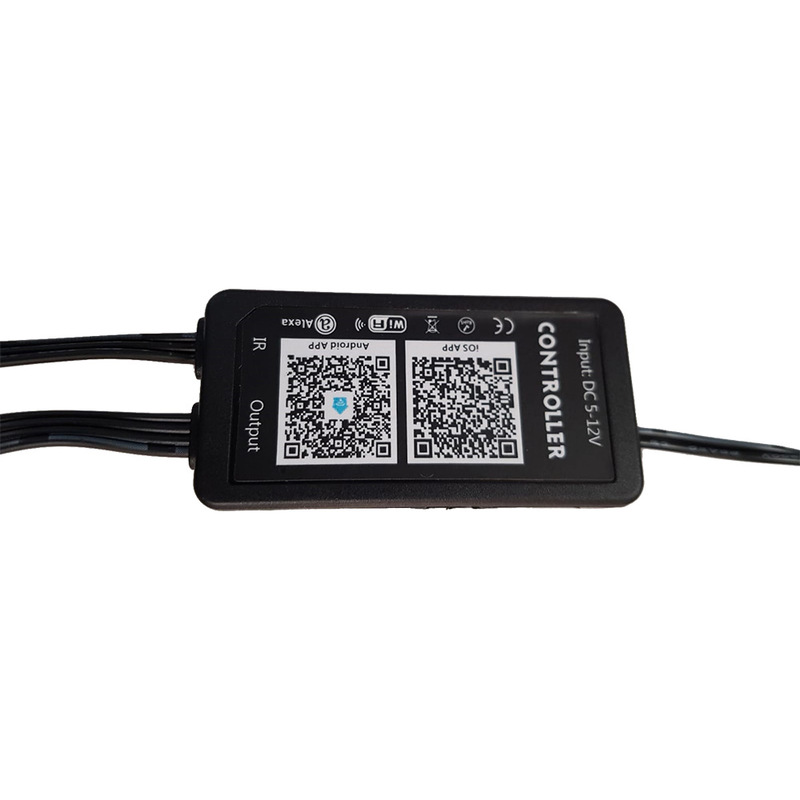 Comes with 5-meter IP65 RGB LED Tape, 6A Plug and Play Power Supply, IR remote and WiFi Controller. 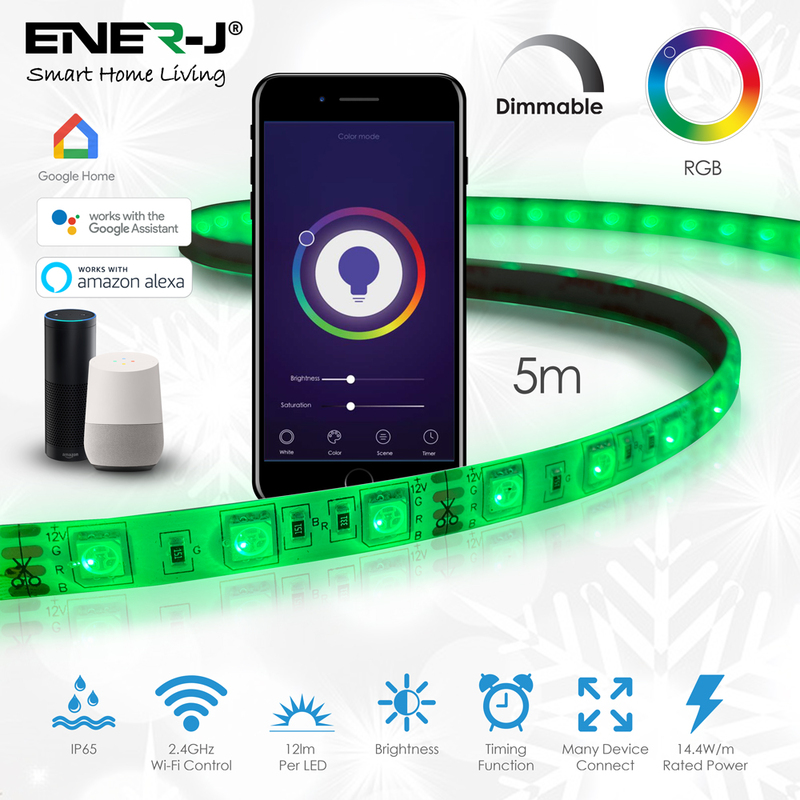 Change colors on your LED Tape, Dim lights, group more than kit under 1 scene, etc. 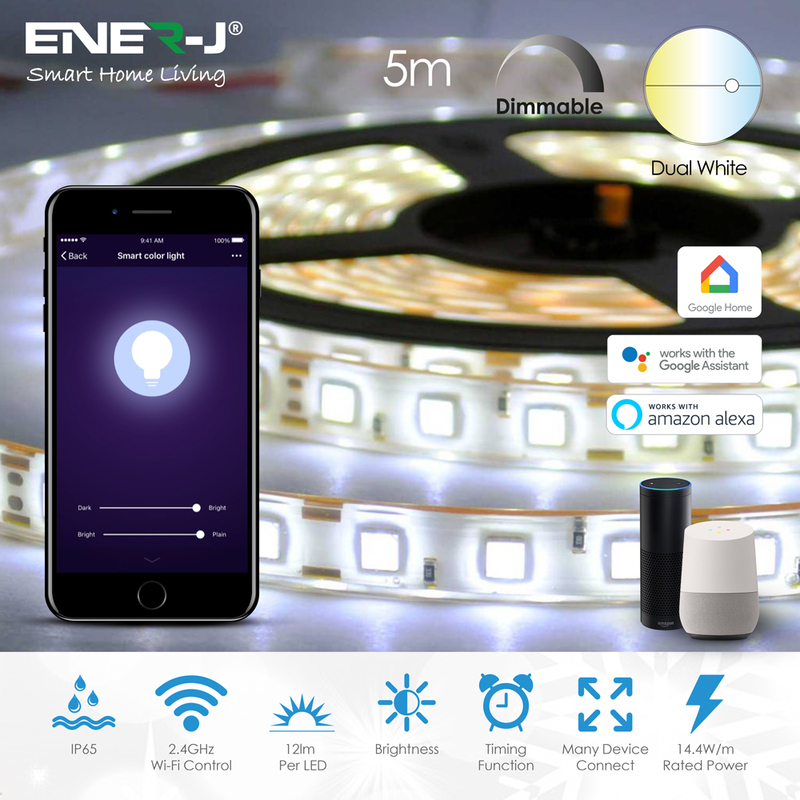 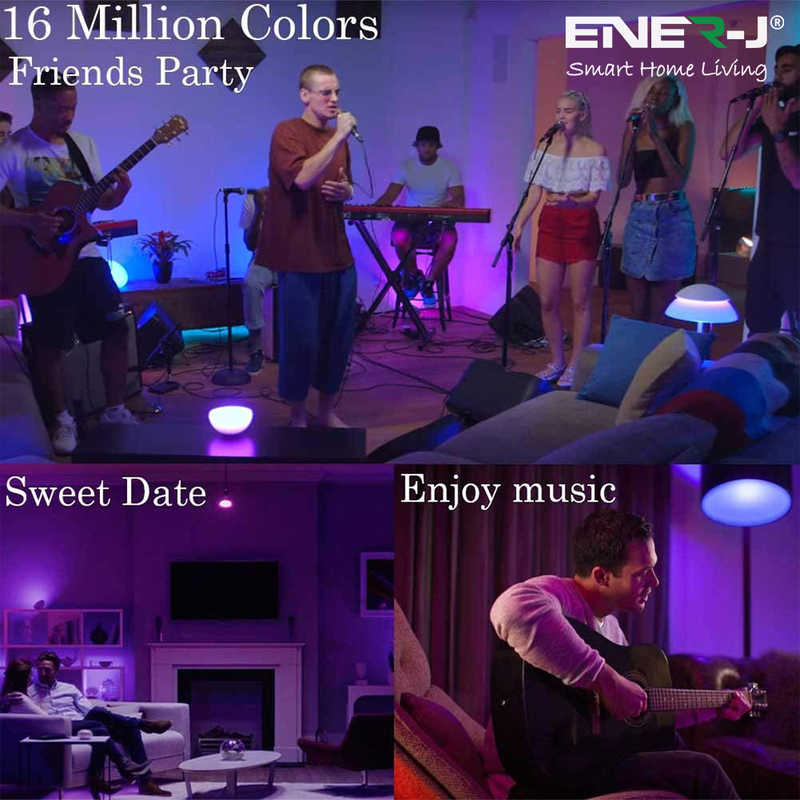 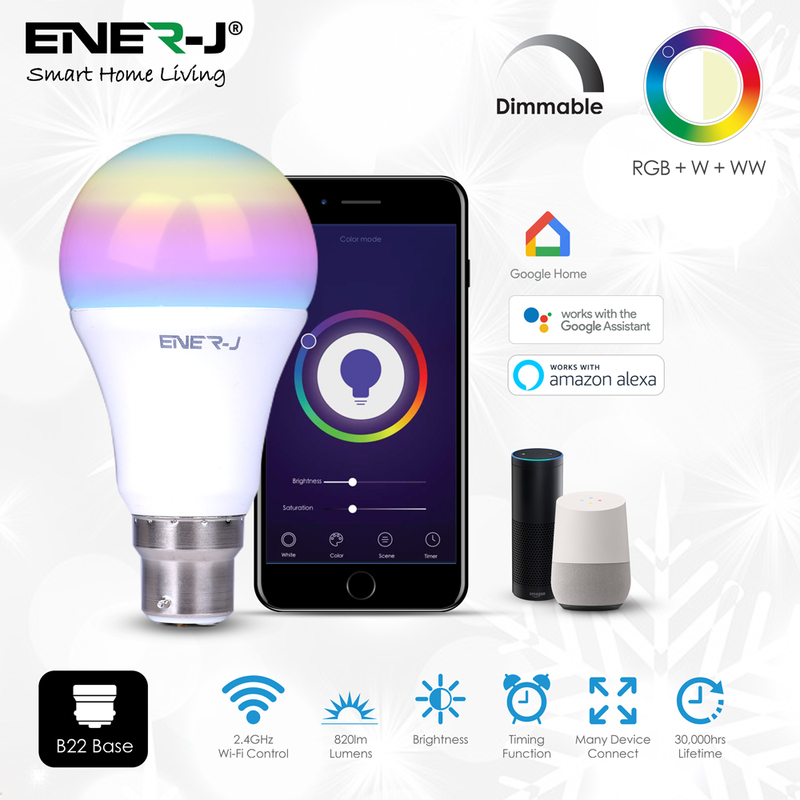 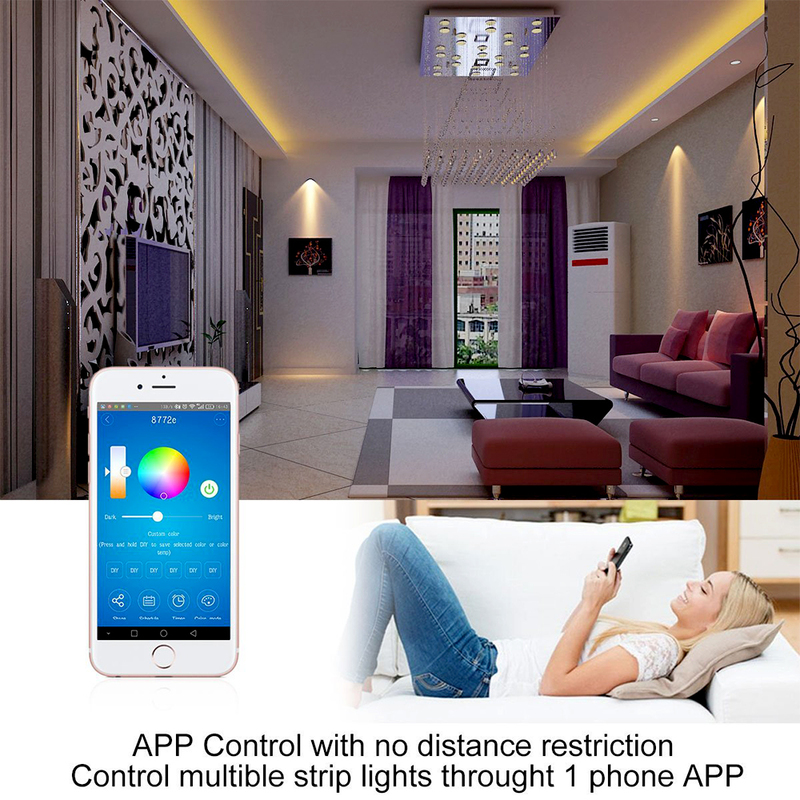 Set the ambience you want in your living room, bedroom, under cabinet, etc with ENER-J’s Smart WiFi Color Changing LED Strip Kit. 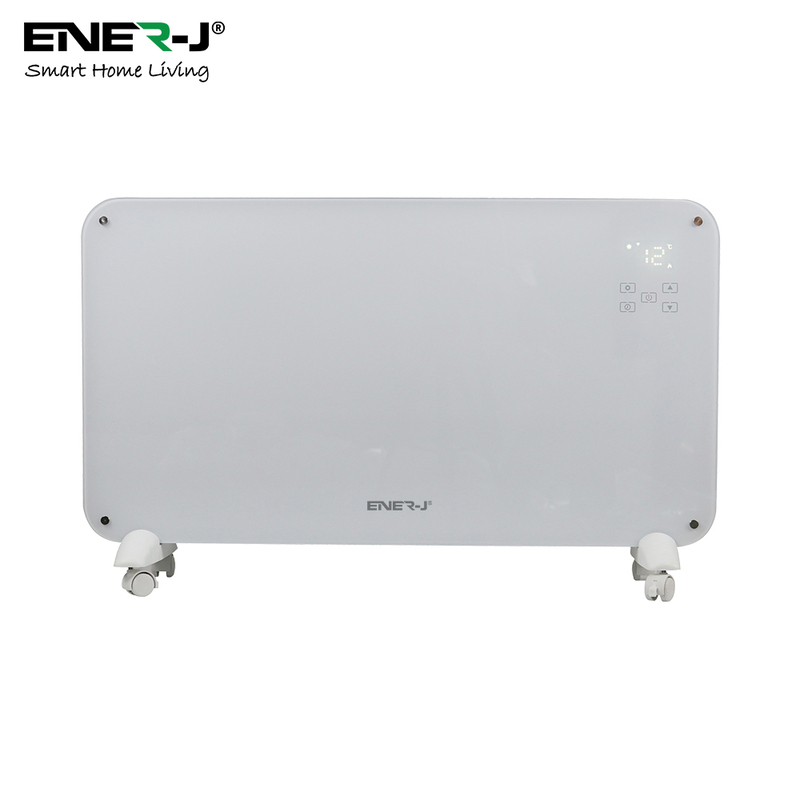 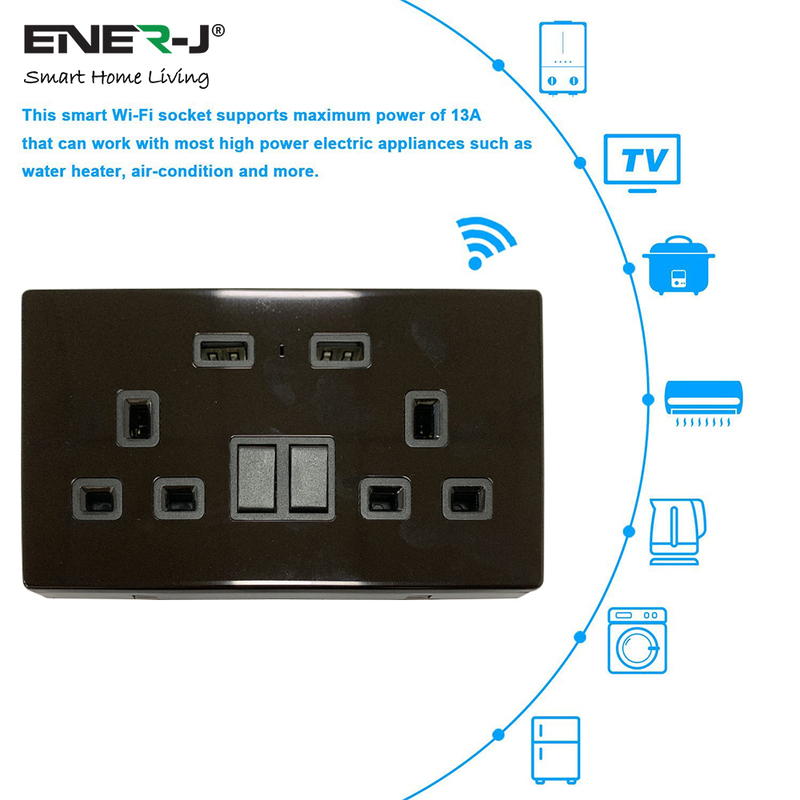 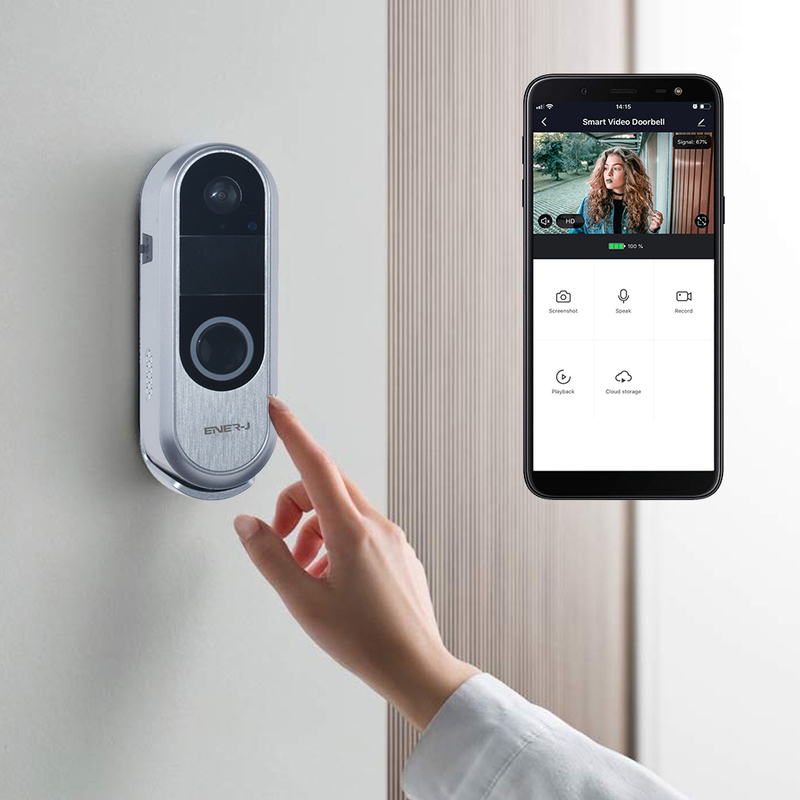 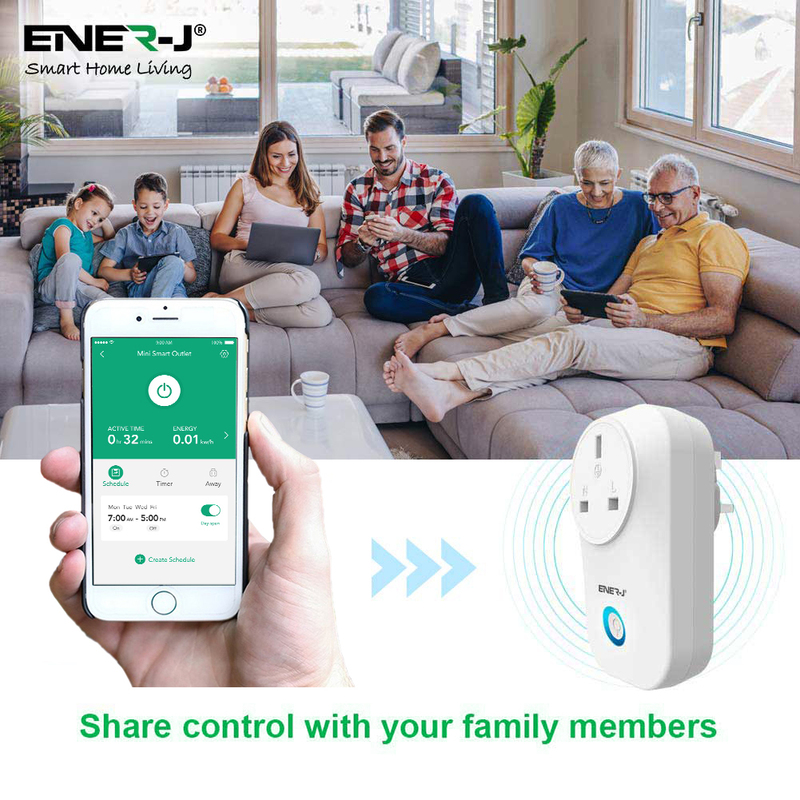 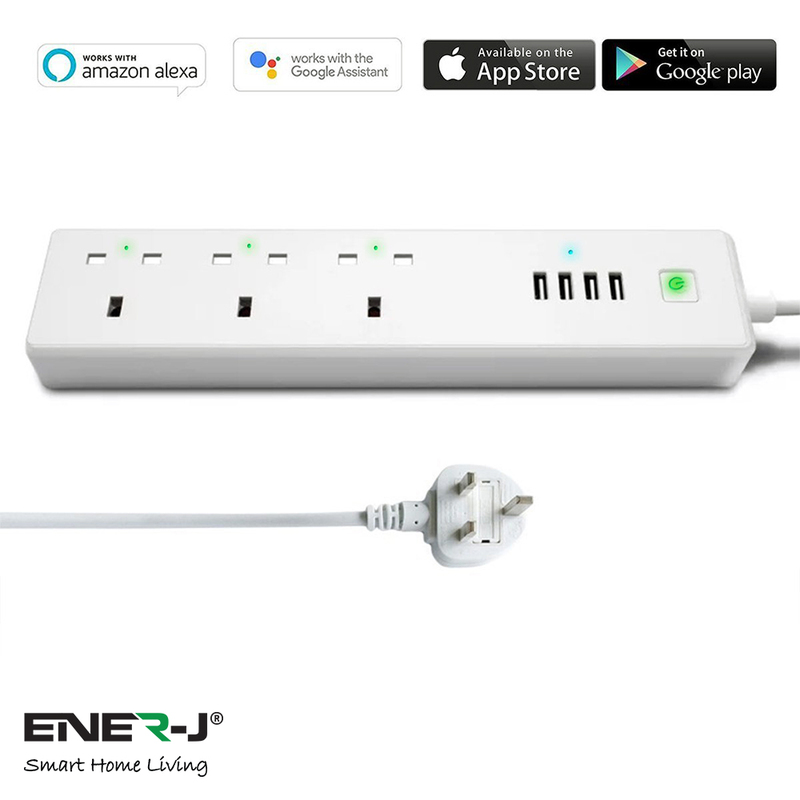 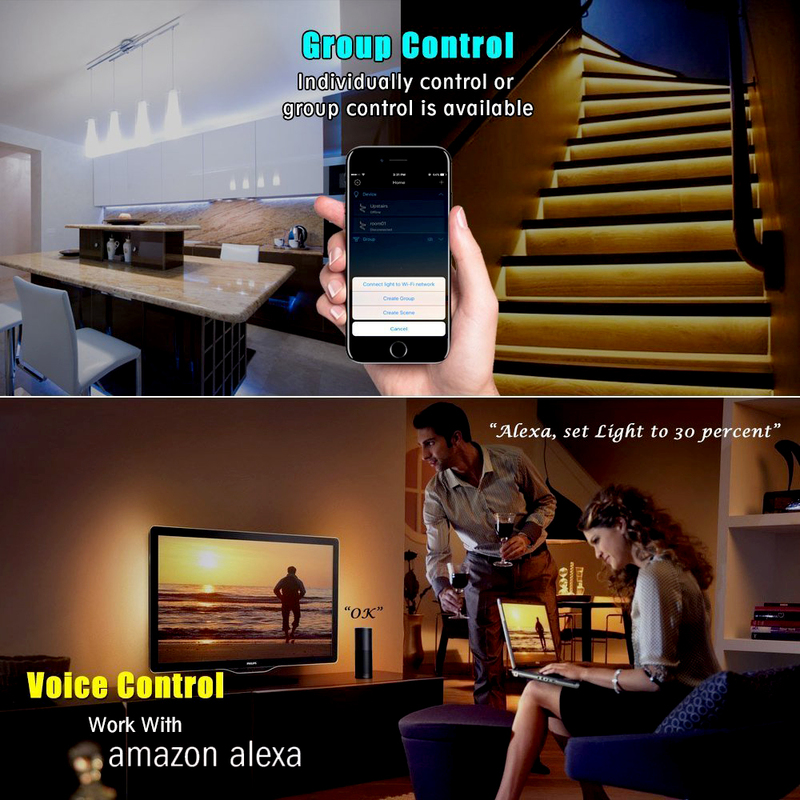 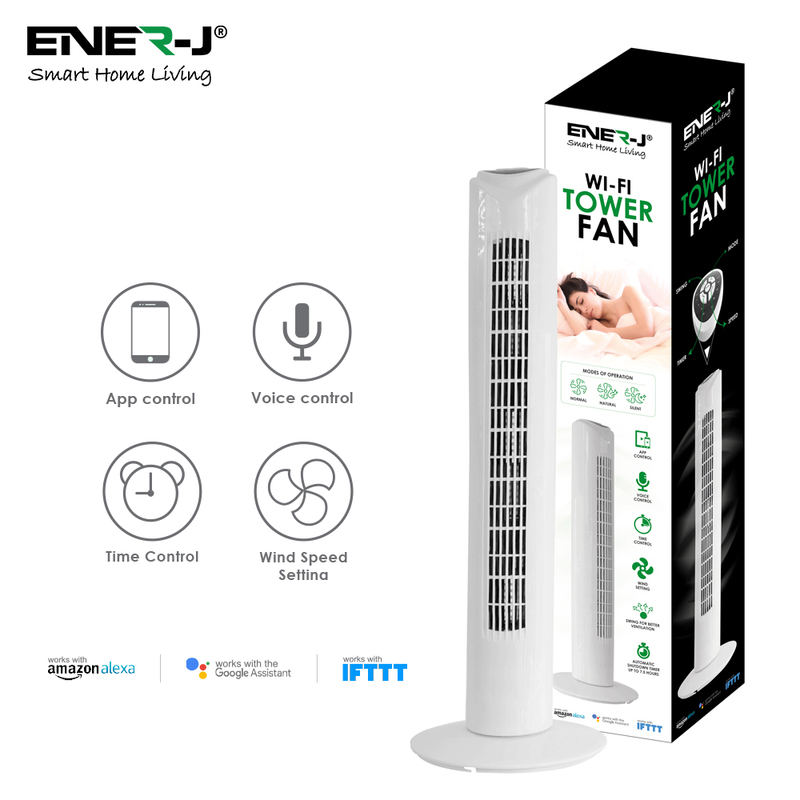 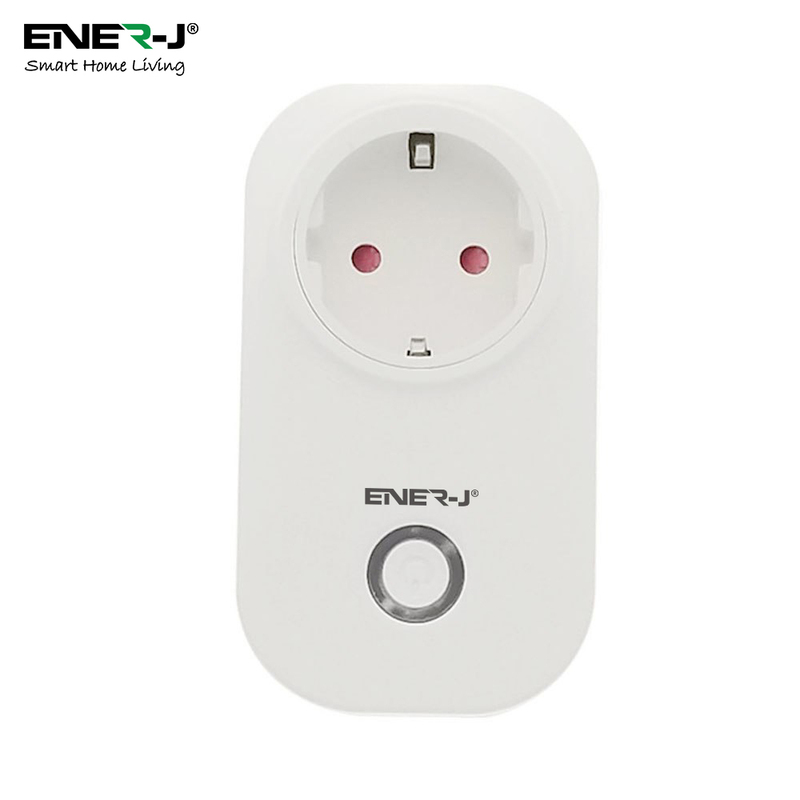 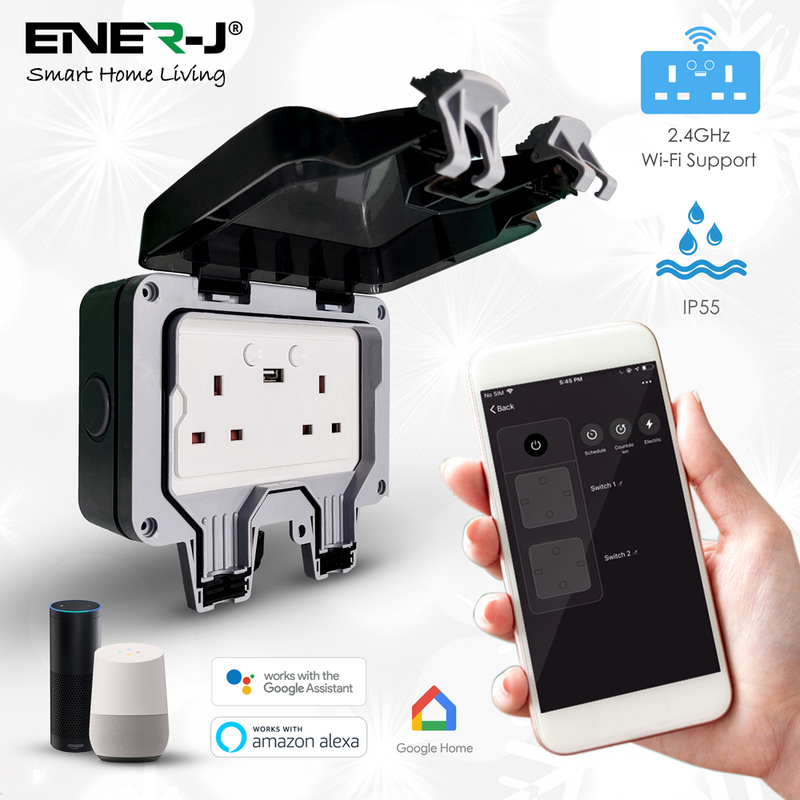 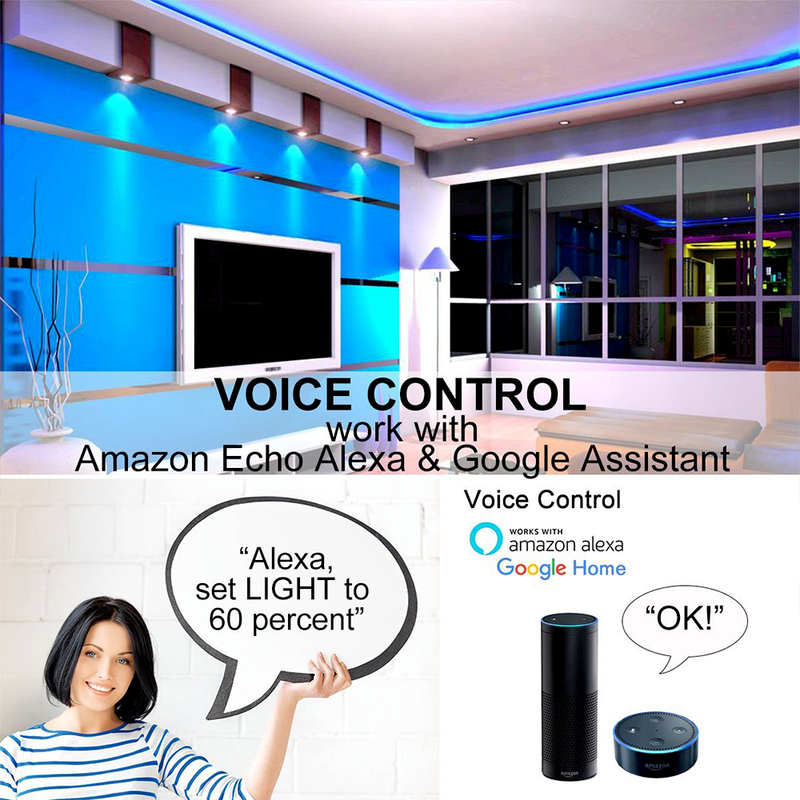 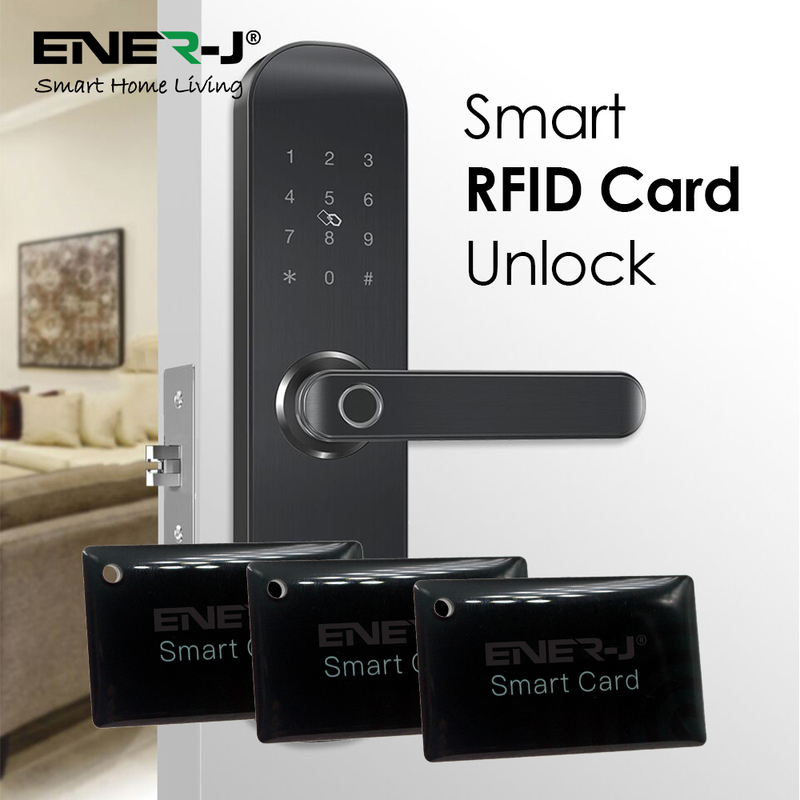 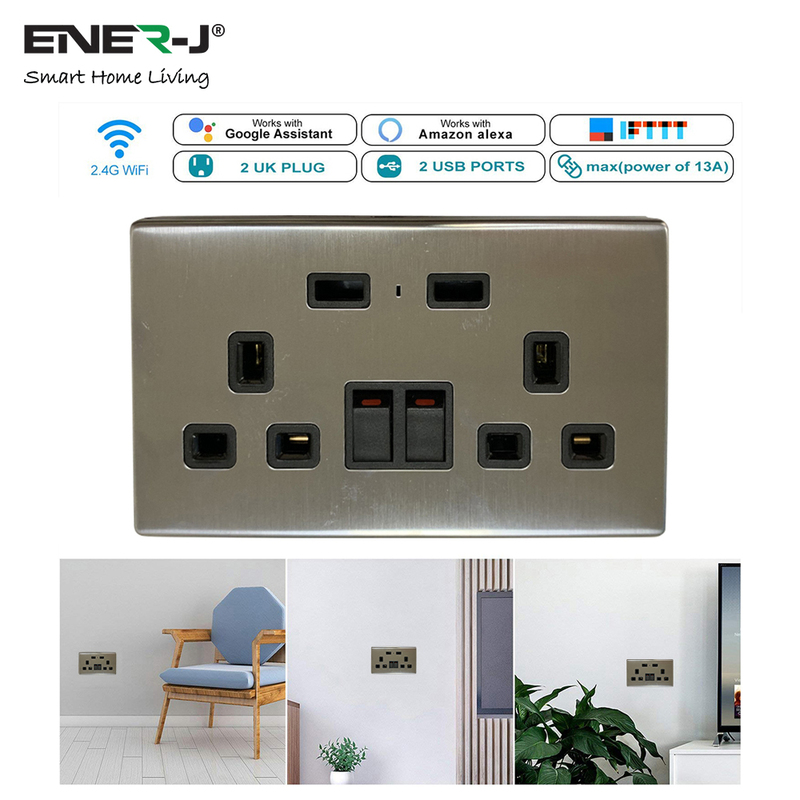 You can control it via ENERJSMART app on your smart phone or the IRremote controller provided or even with voice command to Alexa or Google Home. 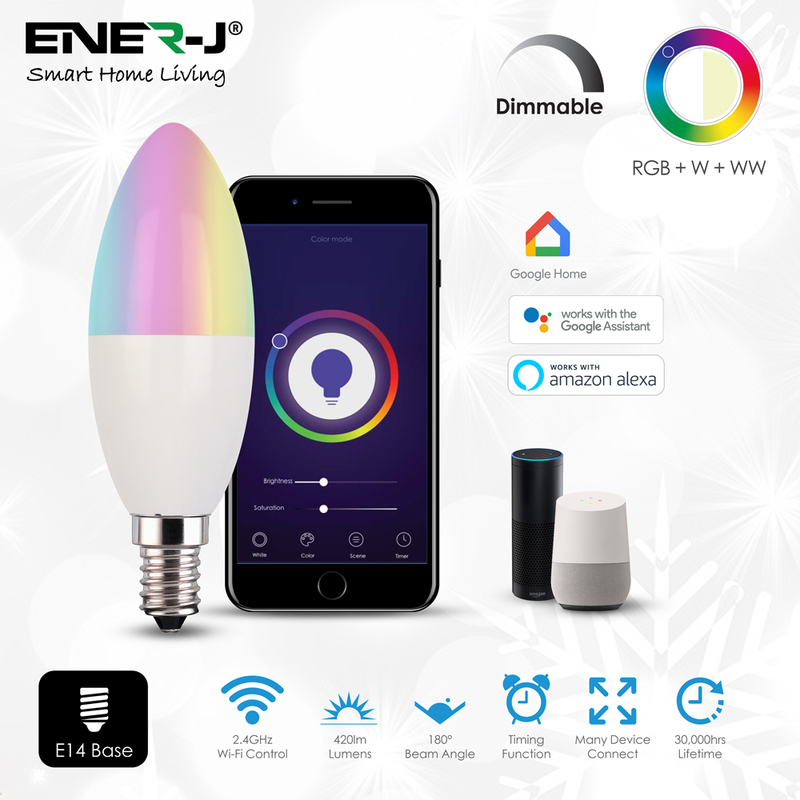 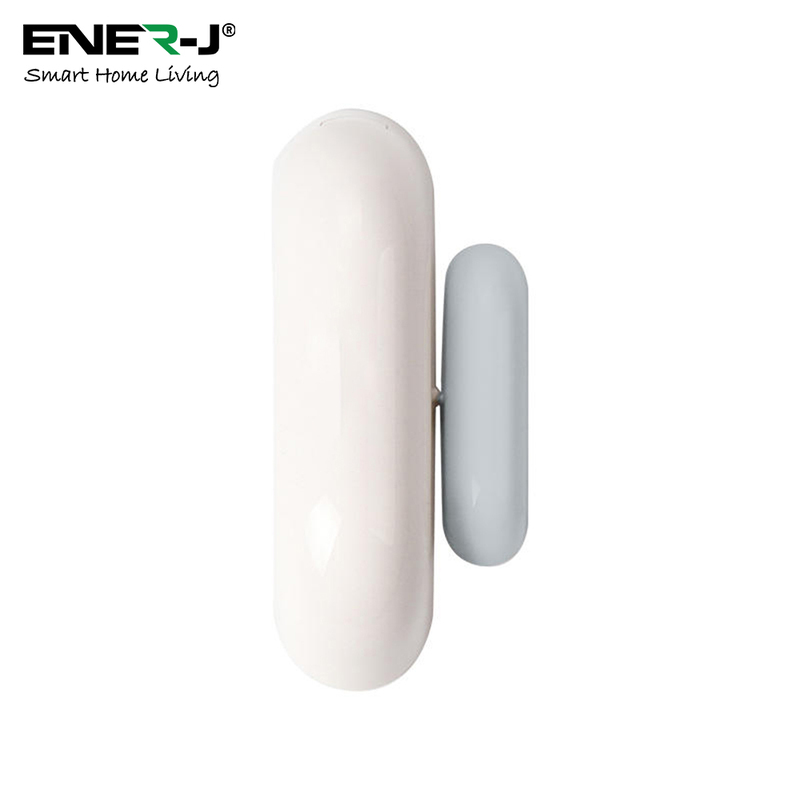 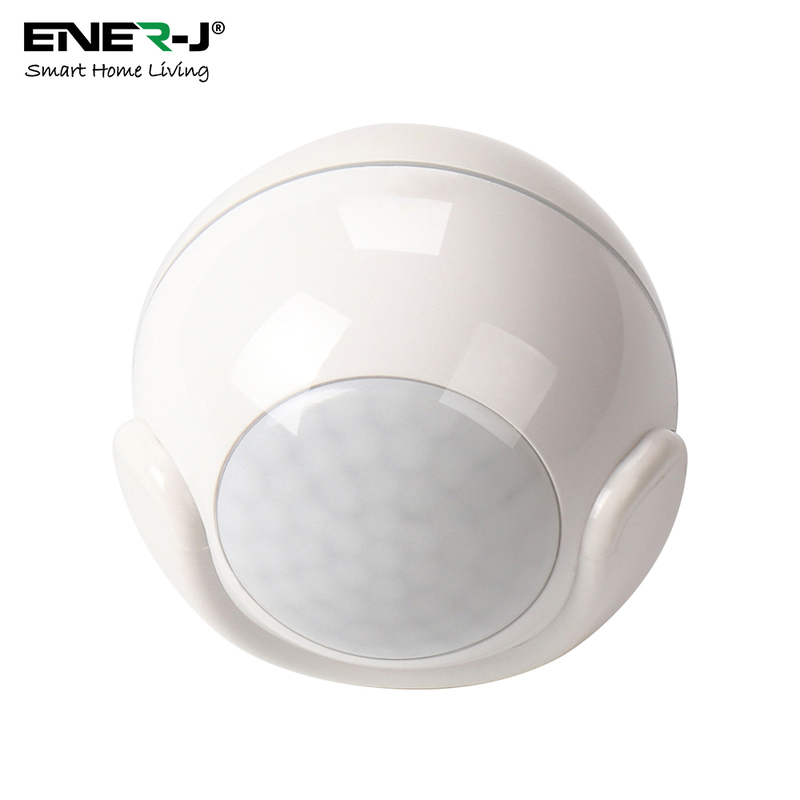 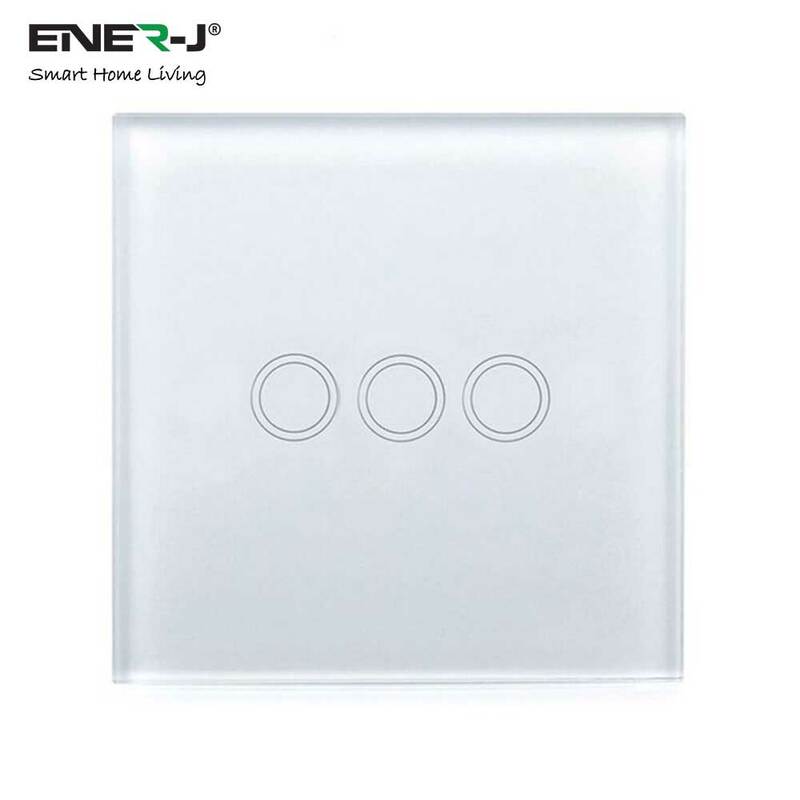 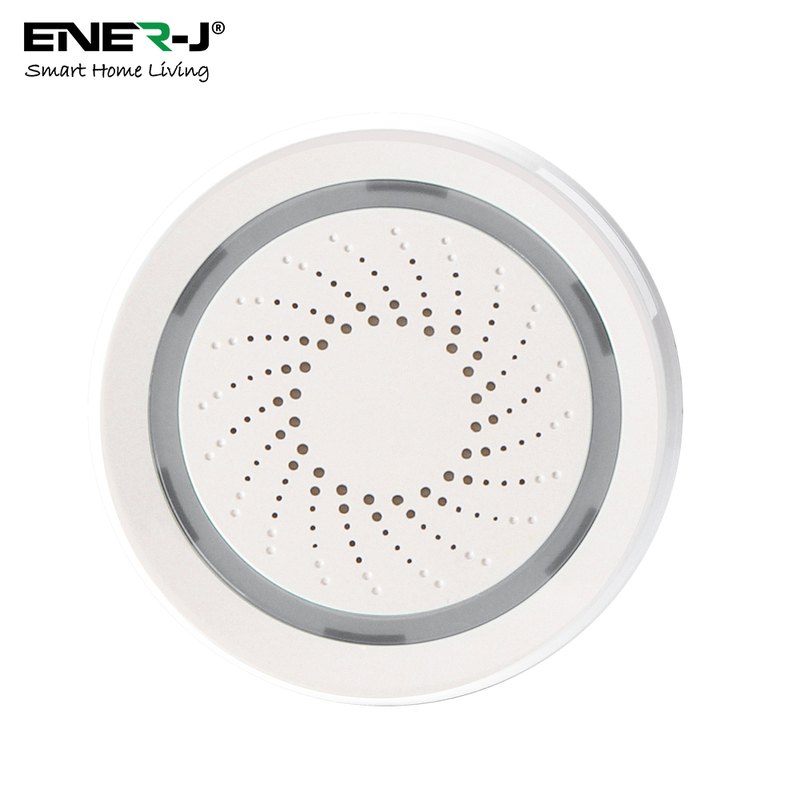 Wifi Wireless Smart Controller: 16 Million Colors, Smart Phone control via our app ENERJSMART, Timer mode. 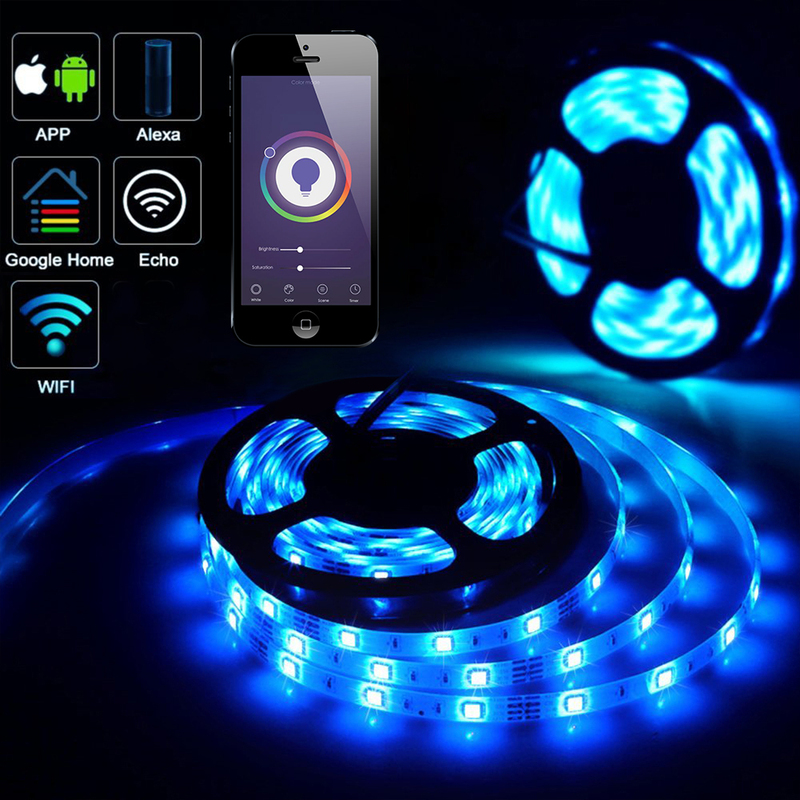 You can also make the lights dance with the rhythm of music you play from your Smart Phone. 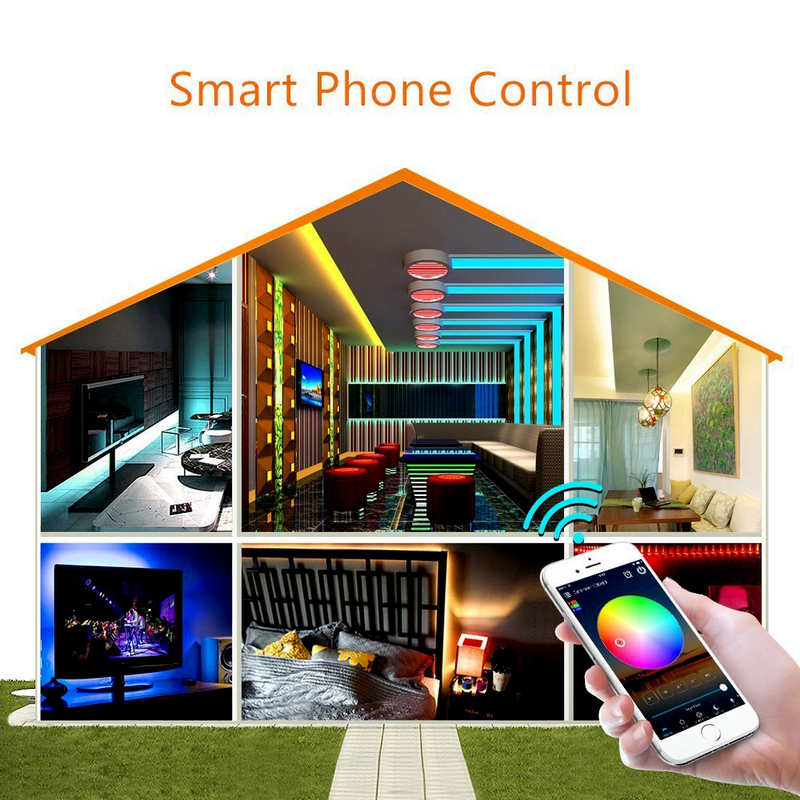 You can also manage many wifi controllers at the same time by grouping them together under a Scene.